1) Elizabeth with the comment: "Yay! I'd love to win one of these books! It sounds a lot like what I need right now. :-)"
2) Lisa Myrick with the comment: "A lesson I often fail. Would love to read this." 3) Kate Tigchelaar with the comment: "Really would love to read this book...I love that you mentioned Jeff doesn't make you feel like a failure for not "getting it"... I always feel like I just didn't get the memo or something!" Congratulations winners! Please message me via facebook with your address so I can ship your copy! Thank you all for entering! I can remembering sitting in a college sociology class and hearing my professor deliver the suspicious news that the majority of Americans live below the poverty line at some point in their lives. Really? I thought. I looked around the classroom questioning if that could really be true and wondering who of us that reality might hit: the studious woman behind me? The second-career man in the back row? The friend beside me? I come from a middle class home and while we did not live extravagant lives, I never wanted for anything significant in my childhood. I didn't really question whether it would be me- whether I ever would be the one living below the poverty line. Of course it wouldn't be me. A few years later, though, it was. When John and I were first married and both students in seminary, we lived below the poverty line. It was something of a paradoxical time in our lives as we filled an old, crappy, falling-apart apartment with our sparkly new wedding gifts. We cooked with brand new pots and pans on a rusty 50 year old gas stove whose pilot light constantly (and scarily) went out. We ate free and discounted food from a food pantry on band new white dishes with shiny silverware. We went to sleep on our new bed listening to bats and squirrels scurry about overhead in the ancient attic, hoping they wouldn't chew on any electrical wires and cause a fire in our sleep. We had lots of new gifts to fill our apartment, yet we wore out our clothes and we worried from pay-check to pay-check about affording tuition, books, rent, utilities, and gas. We had no savings and we constantly held our breath, hoping no major unexpected expense would arise. With great relief and humble gratitude to our LORD's faithful provision, we made it through those slim years. When John graduated and secured a full time job we were able to buy a modest house thanks to a low-downpayment provision from the government. Soon I also graduated with my degree and started working. We felt like we finally had our heads just above water... and then God called us to adopt. You can probably imagine how we felt looking at that $35,000 adoption price tag. Overwhelmed is something of an understatement. We set to fundraising for a big chunk of that money, but we wanted to pay for as much of the cost ourselves as we could. We quickly recognized that God had been preparing us for something we did not anticipate: he was showing us how to trust in his provision and how to live frugally in order that we might be free to follow his divine leading. Now that Arie is home and our adoption costs have been paid, John and I have certainly loosened the tight restrictions we had on our budget, but we still hold some of those lessons close in our hearts in our home. Today we do our best to live minimally because we've tasted the kind of freedom it brings when we look to our faith and God's purposes in our lives instead of our things to be satisfied. 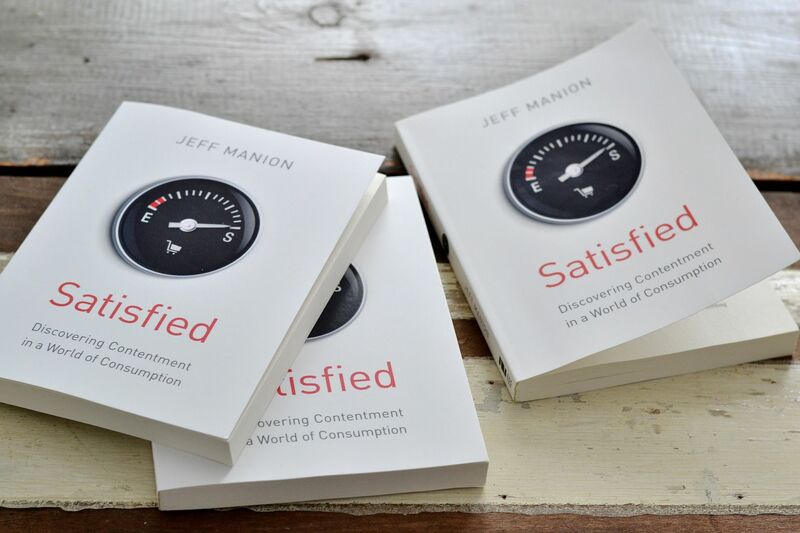 Last week I had the pleasure of reading and being both convicted and inspired by a new book called Satisfied by Jeff Manion. Jeff pastors a large and growing church in our area and has served my husband John as a preaching mentor over the last few years; when Jeff sent a copy of his new book to John I read the subtitle (Discovering Contentment in a World of Consumption) and was immediately interested since this task (finding contentment in God rather then the fulfillment of my desires) has been something I've been working on. The virtue of contentment is utterly liberating. It frees us from the illusion that a purchase can take away our loneliness, fill our emptiness, or heal our brokenness. .... We have become enslaved to our stuff, and the road to freedom will require a new language. The language of the contented, satisfied life (pg. 29-30). Jeff remains true to this declaration: throughout the book I found not even one hint of condemnation for those of us (me!) who often get it wrong. In the place of condemnation are stories of people and couples who have indeed found freedom in a contented, satisfied life. Jeff also writes simply and sincerely about his own on-going journey to satisfaction in a way that truly inspired me. Um. Yea. In my journey of infertility I have had to fight against so much bitterness. When my friends get pregnant, yes, but especially when I hear about teenagers or women getting pregnant when they didn't want to or when they didn't "deserve it." 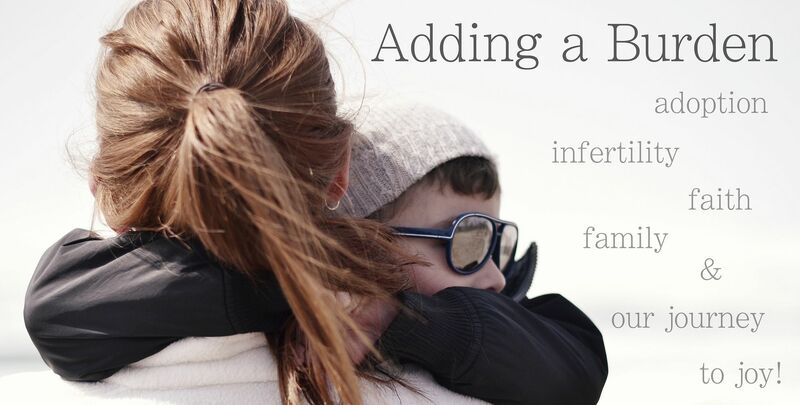 I've witnessed with heartache some women who neglected or abused their children or even had them removed continue to be blessed with more children. It grates hard and painfully against me and I ask exactly the question Jeff posed, "Why them and not me?" I have no answers, but I know that the comparison does no good; it only robs me of joy. Jeff writes, "Comparison is a thief and a killer. Comparison robs you of gratitude and contentment. Comparison massacres joy" (pg. 63). Since reflecting on that chapter I am finding myself working hard to repent of my comparison and ingratitude and move forward to joy in Christ. It has been convicting but also freeing. There is great freedom and joy in surrender to Christ! It's not easy. It certainly wasn't easy for me or for John those years when we were living below the poverty line, but I would do them over again because it prepared our hearts and freed us to trust in God and live simply to save for our adoption. It isn't always easy today to commit to living minimally, passing up on excess, but it is incredibly freeing to live this way. I am able to stay home with Arie and write this blog, we are currently free from debt except our mortgage, and we are able to give more generously than we've ever been able. Make no mistake about it: if you determine to seek the satisfied, contented life, you will be swimming against the current (pg. 10). Swimming against the current isn't easy, but I like to think of it as fighting for your freedom: freedom from the enslavement to stuff, to discontent, and in my case- to jealously and bitterness. It's a worthy journey. Jeff has given me three copies of his book to give to you! I asked him to sign them so they come inscribed with a heartfelt wish to their recipients. If you would like to enter the draw to win one of these three books please leave a comment below or better yet on the link to this post on my facebook page. I will announce the winners on Friday morning! Check back to this post. If this idea of journeying toward a satisfied life is something that has pricked at your heart and mind, here's the amazon link where you can purchase the book yourself. My husband and I have been trying for about a year to get pregnant, unsuccessfully. My step sister (who abandoned two of her three children) got pregnant by accident for the forth time last year and is due in two weeks. I have had a hard time not comparing myself to her. This post has been an eye opener, thank you! P.S. I would like to.enter the drawing! Looks like a wonderful book! I think this is an interesting time in our lives: some of our peers have houses, go on lots of trips, are able to buy new cars, etc. while others (myself included) are having more difficult times making ends meet. I would love to read a copy of the book! I love the quote you included in the post about comparison - so easy to do, and yet so harmful for our attitudes. I think trying to be content is a life long battle, but one worth fighting! Found your encouraging blog a few months ago, and am actually in the process of reading "The Joy of Less" been a challenging but wonderful read! This sounds like another good one to read!! I'd love to read this. We are approaching some crossroads in our lives and this would be great to read before making those decisions. Sounds like a great book to read! My husband started his own company a few years ago, and it's been lean to get it started. There are many times I think about what others have, mostly just the freedom to not worry about where the next paycheck will come from. Thanks for the chance! I have heard such good things about this book! It is a constant struggle to not live in comparison to others but a lesson that I try to pass on to my daughters. I think I could learn a lot from that book...as we are currently living below poverty and raising three kids. Comparisons do so much harm! I think this book would be great for our family. We are in a great season right now but with that blessing comes the temptation of "wants" and keeping up with the Jones'. Contentment is something we all need, no matter our season. Thank you for your inspiring words, as always. What a beautiful post... "Comparison is the thief of joy" is a topic I've been thinking about a lot lately... I'm excited to read this book ! Thanks for your words- both inspiring and convicting. I'd live to win a copy. We've also been on both sides of this situation. And you're right. It's terrifying knowing you're one paycheck away from disaster. This looks like a great book, something my new husband and I could really learn from. It's hard right now with us not making much money but we are learning to be content with where we're at. Elizabeth you are a winner! Please message me via FB (facebook.com/addingaburden) with your address so I can ship your book! I, too, find myself quick to compare my life to everyone I'm around and to find discontentment far more quickly than I find thankfulness. God has really been pulling on my heartstrings about it over the last few months. Thanks for the giveaway! Good quotes and good things to think about. A life-long journey, I imagine! Thank you for your post. I thought that your goal, finding contentment in God rather than in fulfilled desires, was really honest and inspiring. I would love to win this book to learn more about the process of finding my delight and fulfillment in Him alone! Thanks! Thank you, as always, for your honest and heartfelt post. I am in a similar situation of limbo between IF and adoption (right now, working towards embryo adoption), so I would love to read a copy of this book. I can definitely relate to your feelings of bitterness in the IF journey, and that is not something I want to take over my heart. As I reflet on Jesus' story, I realize that the wounded rage wasn't generated because the twelve-hour workers received too little. The rancor erupted because they thought the one-hour workers were given too much. We are prone to lose our balance, not because we have received less than we deserve but because someone near us has received more than we think they deserve. The wounded voice of comparison demands, "Why them and not me?" - I needed to hear this and today of all days. We have been struggling with IF for 2+ years and I have hit a hard spot where I seem to ask this question all the time. I think this book would be a great resource for me right now. Thanks for your honesty. There are many days I feel bad for the things I think/say... and it helps hear that others are feeling the same way. Love your blog, and really loved this post! Wow, what a small world. 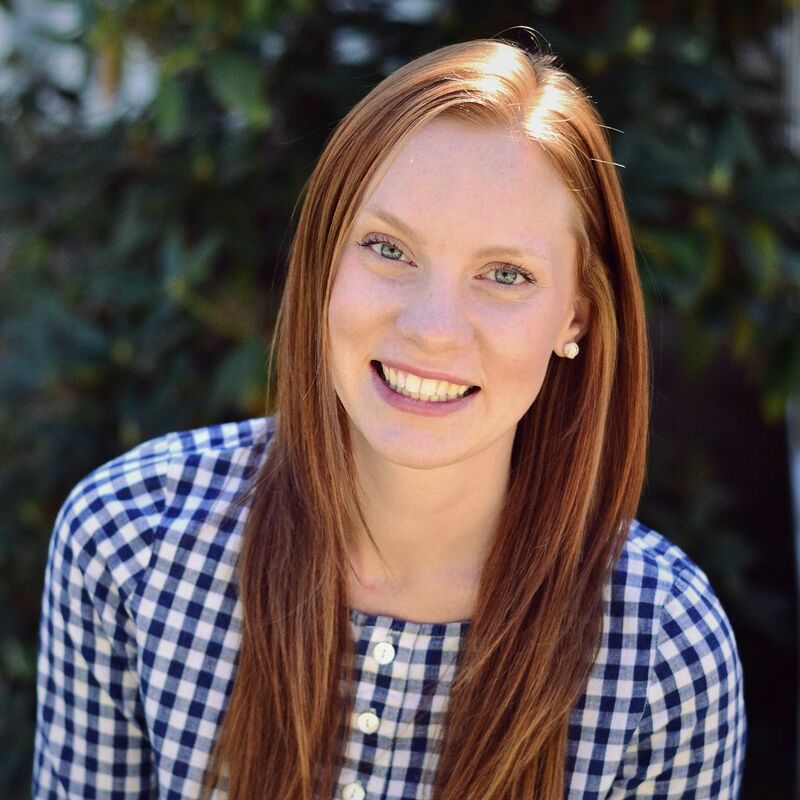 So I found your blog via your adoption story, found it a little odd that I (now a missionary in Tanzania) found a kindred spirit in you living in the mid-west, where I grew up. And now you're reading a book written by the pastor of my church while I was attending college at Cornerstone. So. Crazy. Anyway - love this post and the book looks amazing, would love to get my hands on a copy while we're back in the states on furlough this summer! I would love to get a copy of this book. I find that being content with things in life can be difficult no matter what the situation. Although I do have 2 biological children, I was told I would most likely never have kids. I feel so lucky to be blessed with these 2 beautiful children. Our first was easy to conceive but our 2nd was much more difficult. I knew the risk I was taking in trying to have a 2nd child. I was told I should not have more than the 1 since I could lose my life. I chose to trust God in the decision we made to have more. Now although I do have 2 children, when a doctor tells you that you absolutely under no circumstances can have another child and put it on your medical file that you can not have more children......well if feels as if your heart is being ripped out. I can't describe the feeling in comparison to going through infertility because I did not go through that journey....but nonetheless it is heart breaking being told that if you were to get pregnant that it could end your life and they would recommend an abortion due to the risks. We had talked about having a large family and now that was being taken away. We discussed adoption to build our family but didn't feel that God is leading us in that direction...right now anyways. We have lots of medical expenses with our children that keep us from owning a house which is another reason form of needing to be content with in life. We may rent for the rest of our lives never having that joy. I feel we all have something in our life that we don't feel content with and having those gentle reminders are good. Thank you for the opportunity! I know both me and my husband would love to read this book as we talk about this often. It's amazing what our consumer-focused, self-centered world tells us we need in terms of satisfaction. I agree, it's not easy to swim against the current! That book is now differently on my 'need to read' list! Contentment is something I've been struggling with lately, for a variety of reasons. I've heard about Jeff's book and would love to win a copy! Hmm... I know how to live with little - not sure I've figured out how to be content with it though. Sign me up! I would love to read this and added it to my Amazon Wishlist before knowing you were giving one away! My husband & I strive to live beneath our means, and teach the same to our children, ages 10 & 8. It's not easy, but I am glad that we are not alone. This post has reminded me that not only do I need to be satisfied with less material things, but also to be satisfied in what I already have without comparing myself to others. Thanks for that. Just came across your blog today and this post was exactly what I needed in this moment! Thank you for sharing your story as you live it, it is never easy being transparent. I also struggle with being satisfied, also fertility related. I have a son who is 15 months, our miracle baby after 4 years, 3 miscarriages, 4 failed IUI's and an IVF cycle that almost killed me (severe OHSS). I have loved the year we have had watching him grow but after yet another miscarriage one month ago, I find myself back in the gloom of an (in)fertility funk. It is a constant process: remembering the journey that brought us here, being HAPPY with "here", and hoping for the future without being disappointed in the present. Best wishes to you as your story unfolds!! Thanks for reading and commenting Genevieve!